The body’s stress response is meant to be temporary. The problem is that in modern society, many of us are in constant, high stress environments, which can lead to weight gain. The body does not differentiate between a bear charging at you or a boss persistently asking for those TPS reports. There are several hormones involved in the stress response, but we will focus on the one often referred to as the “stress hormone” – where to buy Dilantin buy pfizer viagra online usa cortisol. In regards to stress, cortisol has several functions. For one, it helps prepare the body for a fight or flight response by flooding the blood stream with glucose. The elevated sugar levels provide a great immediate source of energy. It does this by preventing insulin from being made to prevent its storage. It also narrows the arteries, which along with epinephrine (another stress hormone), pumps blood quickly through the body. Cortisol also helps heighten memory, lowers pain sensitivity, and increases immunity. All of these responses are meant to help you get away from the threat (stress) until the body can wind down. Weight gain can occur from the slow down of the metabolism, increase in craving, increased blood sugar, and increased fat storage. Muscle is metabolic, which means it burns calories. Constant high levels of cortisol can slow down your metabolism and cause your body to break down muscle to not only conserve energy, but provide some. A decrease in metabolism means that your body will not burn as much which can lead to weight gain. Ask anyone who is constantly stressed and they will tell you about fatty, salty, or sugary food cravings. Cortisol increases blood sugar levels and decreases insulin. What this does is draw sugar away from cells and keep it in an easily accessible state. Over time the cells become depleted of glucose. 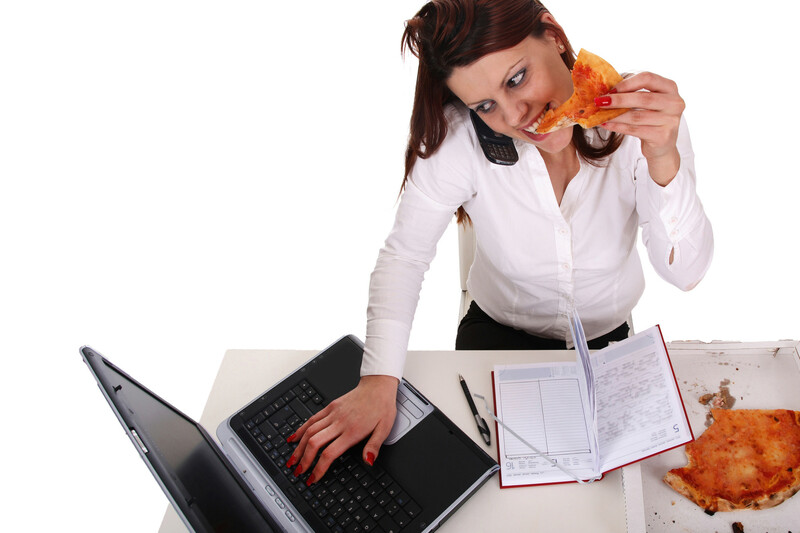 Because of this hunger signals are sent to the brain which cause cravings for carb filled foods. On top of that, some research suggests that cortisol can decrease serotonin levels in the body. Serotonin is our ‘feel good’ hormone, decreased levels can make us reach for ‘comfort foods.’ Although the foods may increase serotonin, they do so temporarily and that can lead to constant cycles of cravings. In addition to elevating blood sugar for accessible energy, cortisol stimulates energy storage for later use. Specifically, high levels of cortisol have been linked with increased abdominal fat (visceral fat). Visceral fat has enzymes that help convert cortisone (yet another stress hormone) into cortisol. This is double whammy, because cortisol increases abdominal fat which stimulates the creation of more cortisol. Needless to say, constant stress messes you up in more ways than one. While living a stress free life is nearly impossible, we can work on managing it. Have more questions about controlling your cortisol levels? Contact us today!